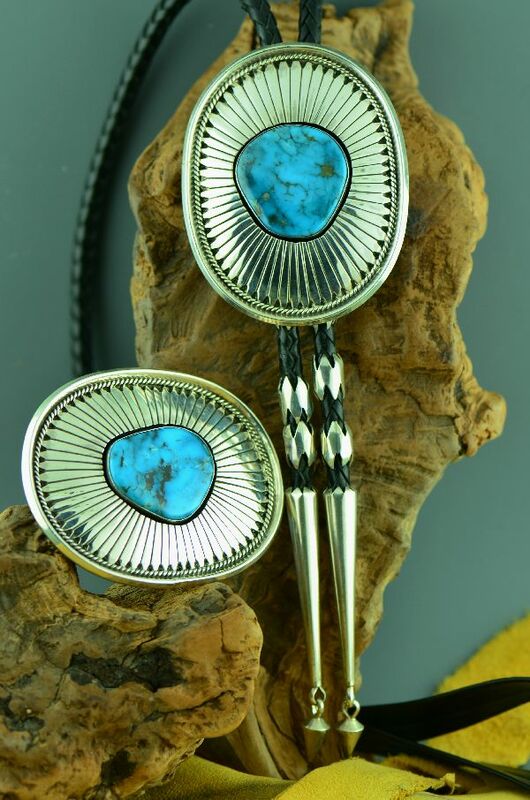 This stunning sterling silver Kingman Turquoise and Black Onyx Spirit Line Bear Bolo Tie is handcrafted by Will Denetdale, Navajo. It comes from a Private Collection of work that has never been worn. 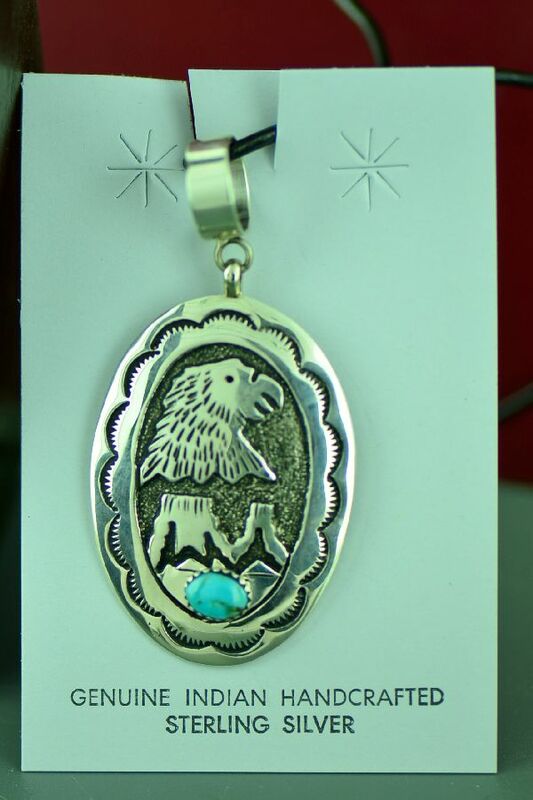 There are 18 Kingman Turquoise stones that surround a Black Onyx stone with an etched Spirit Line Bear. 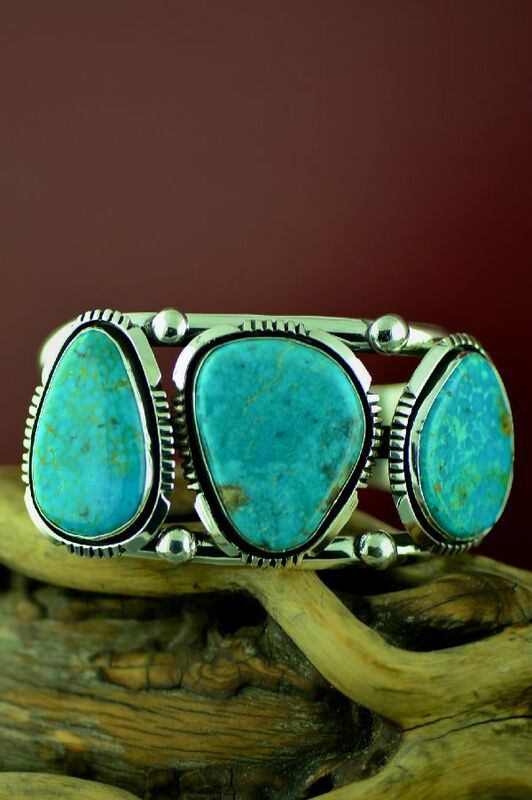 The Kingman Turquoise stones measure ½” tall by 3/8” wide and the Black Onyx stone measures 1-5/8” tall by 1-1/4” wide. 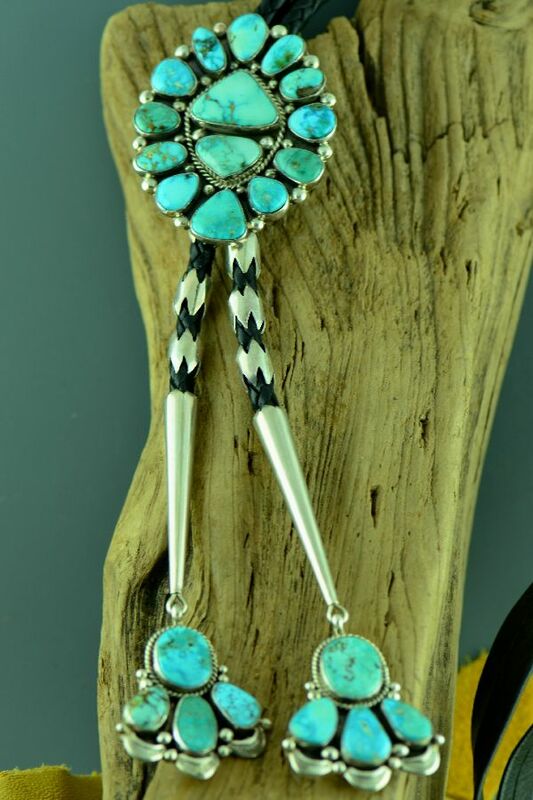 The overall size of the bolo measures 2-3/4” tall by 2-1/4” wide. The sterling silver tips measure 2-7/8” long. 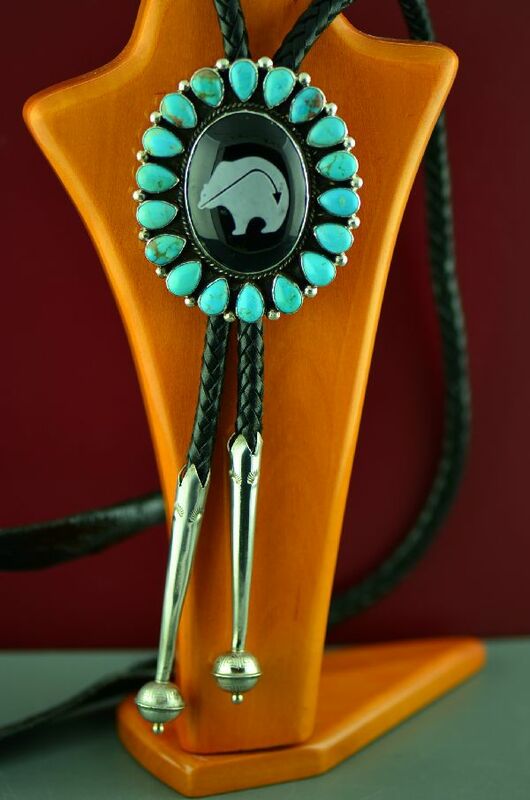 The artist has included a 38” handmade flat back leather cord. 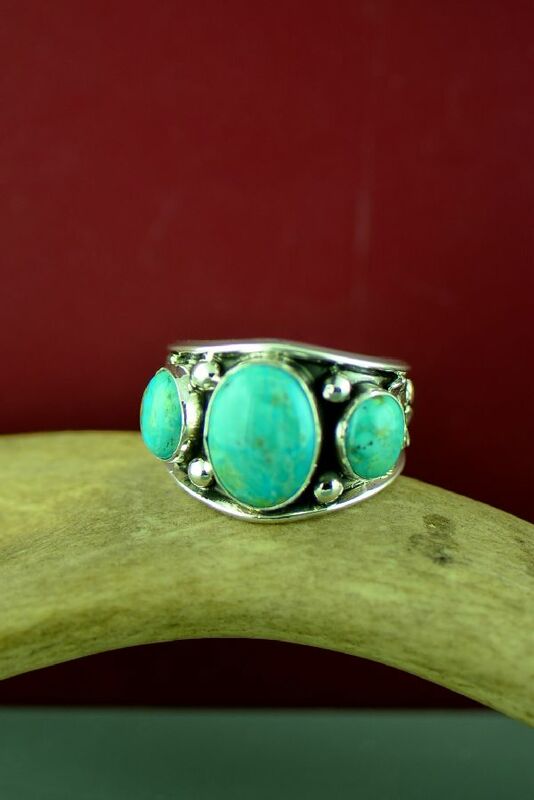 The bolo weighs 1.7 ounces or 48.194 grams. Signed by the artist. To learn more about the artist, click on the Artist Bios page from the home page.